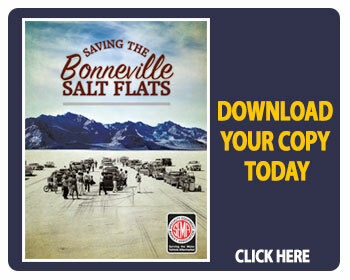 Amateur land speed racing on Utah’s Bonneville Salt Flats crossed the 2018 finish line leaving 100 registered speedsters unfulfilled. Of the 112 runs made, 25 qualified for new national class records on the first, and as it turned out, the only day of racing. But what a day, boys and girls, what a day. Termed an “epic” day of racing by Southern California Timing Association (SCTA) President and World Finals Race Director Pat McDowell, salt devotees bore witness as one pump gas drinking streamliner ran more than 400MPH followed before another hand-made hot rod that clocked the first plus 500MPH run. Others are still astounded at the Triumph TR6 exiting the 5th mile timing lights at 388MPH. “Mother Nature might have put us to bed for the season, but our volunteer organization is very glad to part of history," observed McDowell. 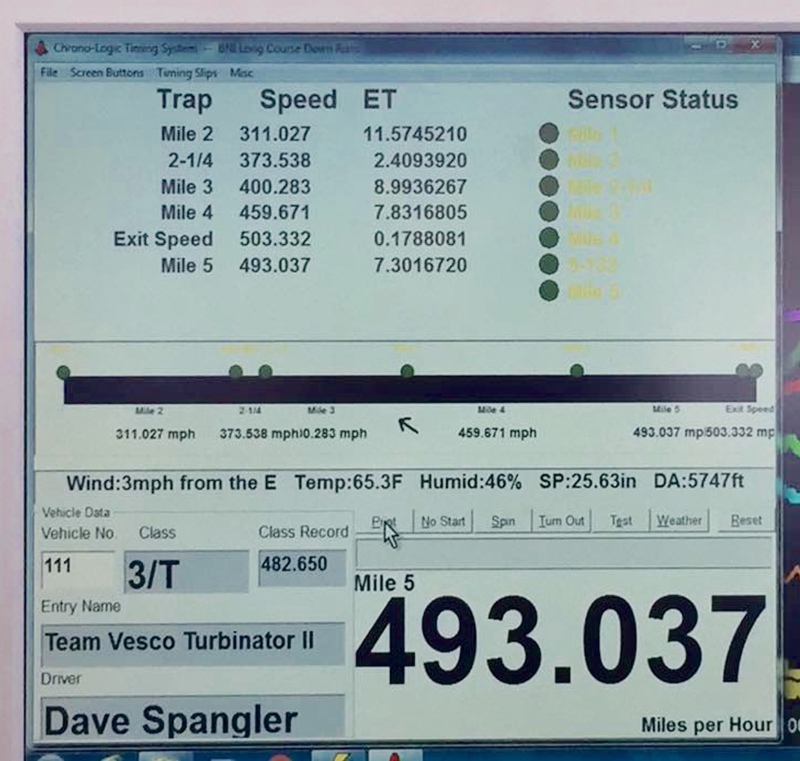 On Tuesday, October 2, 2018 at 11:04AM the Team Vesco Turbinator II driven by 76-year old Dave Spangler roared into history tripping the exit speed clocks at 503MPH while holding 493 throughout the measured mile. In other words, the car was still accelerating when it ran out of timing eyes. A land speed record – National or World – requires 2 runs with the record speed the average of both. The only difference is that a world record must be completed in one-hour over, back and forth over the same measured mile. National records are an earned average going the same direction over a 2-day period. “My sincere congratulations to Dave Spangler, and all of TeamVesco on their magnificent new U.S. National Record,” said FIA World Motor Sport Council member Dennis Dean. The next morning all the impounded are the first to the starting line for the second “record run” and a chance for record book glory. No one went home with a record. Winds built to chaotic levels and the jousting commenced between the 50mph ice coolers and 30mph orange course marker cones when the rain joined the 65 mph winds and laid down a half-inch of water across all 30,000 acres in record time. Although the pits were dry by noon the following day, when the rain returned the next evening all 25 impounded cars and motorcycles knew their record hopes were dashed. “The course was best we had seen in more than a decade,” observed Turbinator co-driver and Crew Chief Eric Ritter, of Queens, New York who drove in 2017 to build consistency beyond 400MPH. TEAM Vesco was the Top Record Setter at every organized time trial on the salt flats throughout the 2018 season. 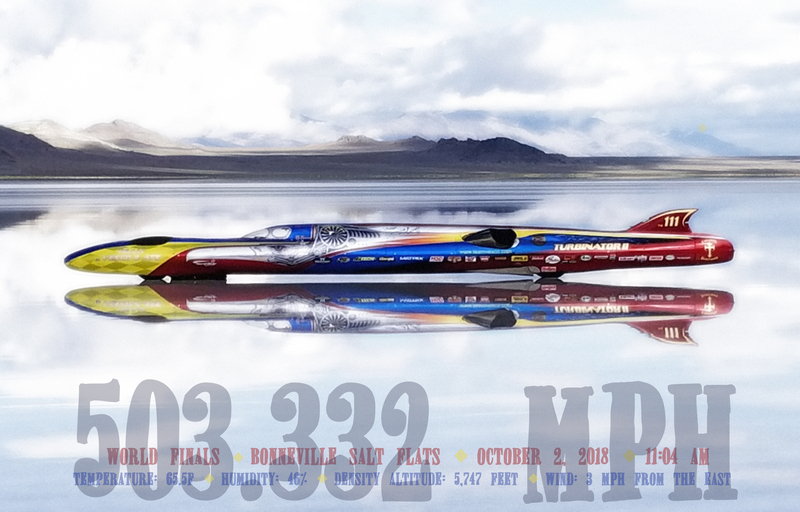 In September, at the Utah Salt Flats Racing Association (USFRA) World of Speed, the team inked a 482MPH National Class record that topped the team's current 458MPH World Record. In August, at the venerable SCTA Speed Week, the team earned the HOT ROD Magazine Top Time Trophy with a 463.038mph in class T3. Powered by a Lycoming T55-L712 shaft gas turbine tuned by Advanced Turbine Services, the engine feeds a bespoke reduction gear case that distributes the blistering horsepower to all four wheels simultaneously. Another big checkmark came from Ed Umland, of Orangevale, CA, who scavenged the tall deck 439CID LSX twin-turbo engine with GM Performance block and heads out of his ’37 Ford Coupe daily driver, added a 5-speed Lenco and single-handedly, in 18 months, built the “Eddie’s Chop Shop” 29-foot streamliner that cranked out 403MPH on pump gas. Costella -Yacoucci – Waters streamliner entry was one of three aero-savvy body designs by Jack Costella that needs much less power to go fast. “We had zero wheel spin this year and then a cylinder shut off as I passed the last clock,” said Driver Rick Yacoucci of his 398MPH average that produced a 409 exit speed using 25-year old cylinder heads atop a 255CID small block. John Levie, of Elko, Nevada, rode his sidecar streamliner 212MPH that gave him “fastest bike” honors for the eighth time in a row. The 1650cc 3-wheeler has yet to make a full pass, but has previously run 314MPH. Another World Record contender who went home unfulfilled was the root-beer metallic Speed Demon streamliner owned Memphis businessman George Poteet. 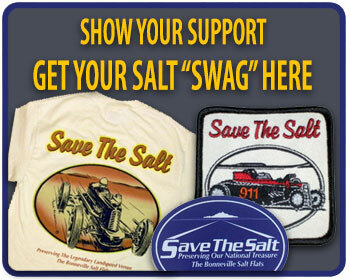 Amateurs all, organized land speed racing on the Bonneville Salt Flats began in 1949 with a small army of volunteers. Today it is bigger army, but mission remains the same: give ordinary people a chance to do extraordinary things.